The artwork depicts the image of the fine artist sitting in front of a painting. This painting is taken from a real work in oil by Natalie Richy. 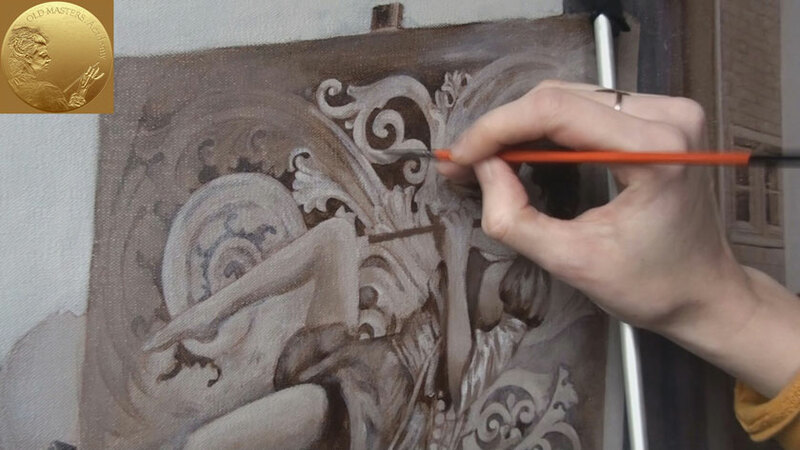 The Artist has decided to illustrate the early stage of the painting process, when the canvas has only brown under-painting. The same oil paints were used for this purpose as for the rest of the artwork. 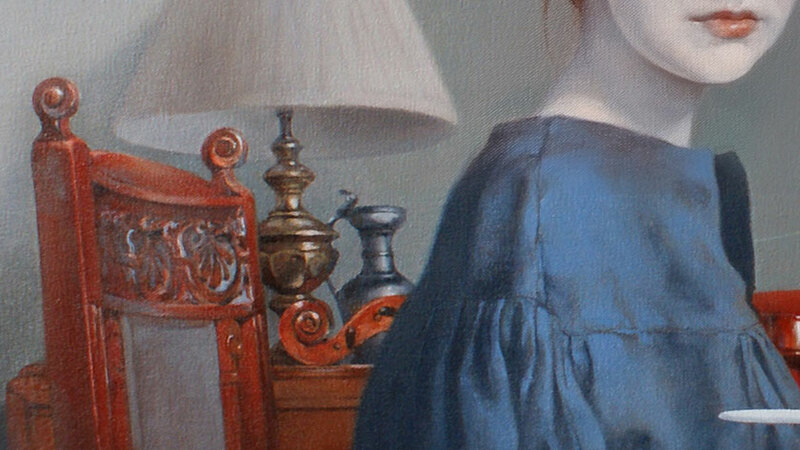 The original tone of background plays the role of middle tone. Only darker shades and lighter lights are being touched, while mid-tones are left as is. 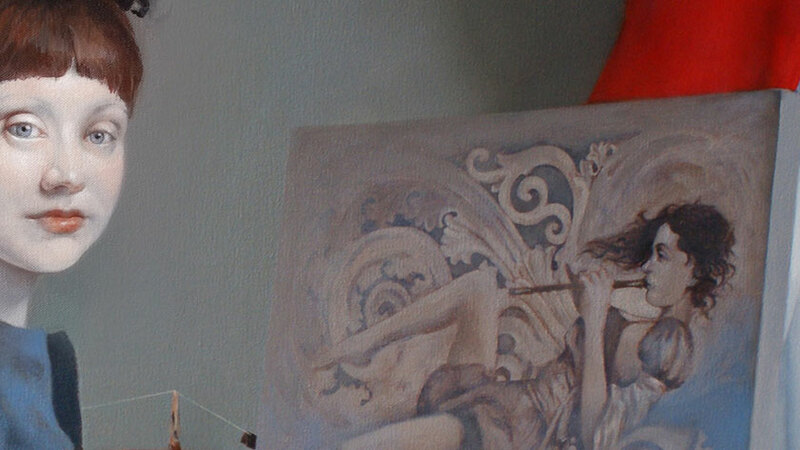 The smaller brush is used for fine details of the girl’s head. 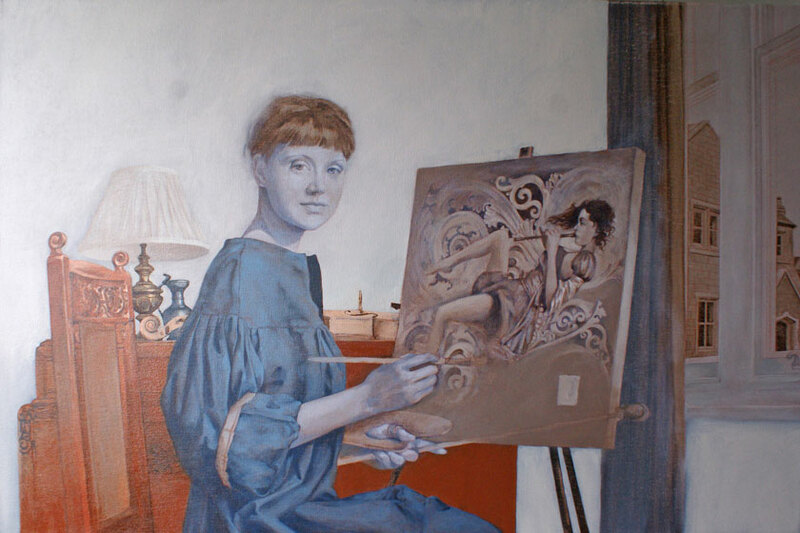 Here’s the rule – the observer always pays more attention to human portraits on a painting, so use as much skill as you can to portray the character of human beings. Other decorative details and interior elements can be left with less attention to detail. Painting the house’s exterior is a straightforward procedure. Here again, the middle tone of the painting background was used as a base color. Every brick was painted separately to show uneven surfaces of bricks and make the mortar look more realistic. However, you may find that painting the whole wall and then applying mortar lines will speed-up the process quite a lot. It is also important to show the texture and shape of the building’s stone-work. The geometrical shape of the stone windows follows the rules of perspective. Use light colors to show the plaster, which is present in some places, and missing in others.